There's a new subway connection in lower Manhattan. 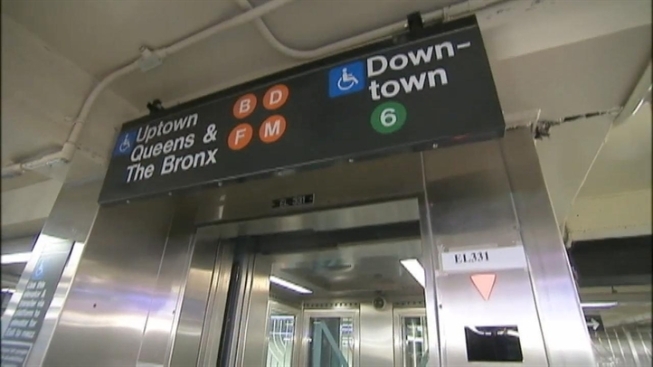 It links the Bleecker Street 6 station uptown platform and the Broadway-Lafayette Street B-D-F-M station. MTA chairman Joe Lhota and other officials cut the ribbon on a $127 million remodeling of the Broadway-Lafayette-Bleecker Street station. It had been planned for decades and delayed for years before its completion. Transit officials say the station complex is now fully accessible for disabled customers. The improvements also include a $1 million escalator, artwork and artistic lighting called "the hive." Riders are happy they can travel from south Brooklyn to the Upper East Side without having to pay twice. "I can get to work a lot faster, especially now that winter's coming," said Lauren Gambier.